Just a reminder: I'm teaching my last blackjack class in 2010 the weekend of Oct. 23 & 24 in Las Vegas. The class is filling up so if you want hands-on training given by yours truly to become an advantage player, sign up now before it's too late. FYI: The weather in Vegas in October is terrific and there are plenty of great blackjack games for card counters around town (I'll tell you about them during the course). Click here for details on the course and to sign up (BJI subscribers get a $100 discount... call 1-262-598-9354 for details). I'm always amazed at how much valuable information is contained in my writer's BJI articles and this month is no exception. Vinny DeCarlo will give you tips on how to beat the casino marketing folks at their own game while you beat them at the tables. 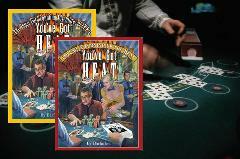 Basil Nestor offers tips on how beat the California blackjack games (yes, you can beat them even when they charge a vig. ... read Nestor's article on how to do it). JPB explains the value of a 2-1 blackjack promotion and which casinos have offered it. John Grochowski answers the old-age question of using progressive betting when you play blackjack with some new facts about why it won't work, and in another question, he explains, "How long is the long-run?" Our low roller Riverboat Flyer summarizes the playing conditions at several Tunica casinos as well as the details of his playing sessions. Ditto for blackjack playing conditions in Atlantic City casinos courtesy of Frank Scoblete and his team of scouts (plus check his list of potential casino closings). Timmer offers his thoughts on some of the personalities of the players you'll run across at the blackjack table plus his first meeting with a well-known blackjack tournament pro that he played against in a tournament (care to guess who that was, and who won the tournament?). Kenneth Smith offers tips on what hands you should double down in tournament play and what hands you shouldn't. Monkeysystem does an excellent job reviewing a mid-west blackjack tournament, and also providing playing tips on an unusual rule that allows players to double down on their hands after splitting Aces. Bill Burton clearly explains the value of money management when you play poker, and provides you with tips on how to avoid tapping out during play. And last, but not least, our friends at blackjacktournaments.com summarize the upcoming major blackjack tournaments across the country. Enjoy the issue and take advantage of all the valuable tips that our writers give you this month. E-mail subscribers can also read each month's issue online at our web site: BJI Issue #127, August 2010. Play at William Hill Casino Club and get $300 with new player deposits (terms and conditions apply.) William Hill Casino Club is available in over 5 languages enhancing its stature as a global online casino. "Here are a few methods of beating the marketing marauders out of comps while you beat them at the tables..."
"California has an interesting law that requires all card games to be banked by players (excluding games on Indian reservations). Every player at a table has the option of banking the game as dealer for two consecutive hands on a rotating basis..."
"In my 15+ years of playing blackjack as an advantage player, I am always on the lookout for desirable playing conditions. 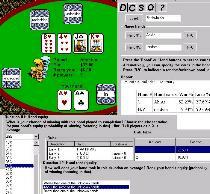 Generally, desirable playing conditions means: good rules (dealer standing on soft 17, double after a split allowed, double on any two cards allowed); good penetration; and a pit that will allow an aggressive bet spread. I also look for special promotions, such as an extra payout for a suited blackjack. For me, perhaps the most desirable and rarest promotion is the legendary "2-1" payout on blackjacks..."
"Video poker and blackjack are the only casino games I play. I am not an expert, but I believe I'm better than the average or basic strategy player. There's a question I want you to answer. How long is "in the long run?" Whenever I'm dealt a blackjack and the dealer has an Ace up, I take even money. This way, I always win the hand. The object of the game is to try to win every hand. I've read that in the long run, this is not a good play. So tell me how long is "the long run." Is it an hour, day, week, month or year? If I'm going to play blackjack an hour or two, I'll always take even money..."
"It was off to Tunica for another six days of blackjack. My last trip to Tunica ended in the red (see trip report in BJI issue #126). I decided to use a slightly more aggressive bet spread most of the time to take advantage of the few good shoes that come my way..."
"Everyone knows that Atlantic City is almost in a death knell with nearly all of its casinos in some kind of peril. There is constant talk about which casinos are about to be closed and which big casino projects have been abandoned. We can tell you from the experiences of our readers, which casinos should close and which should remain open..."
"All players in the finals agreed to "chop the pot" except one player whom I had not yet played against because he wasn't at my qualifying or semi-final round tables. He was a lanky fellow, who had the lean, athletic look of a distance runner. He looked vaguely familiar but I just could not place the face with a name..."
"To use doubling down in tournament play to its fullest, you need to completely understand the cost and benefit of doubling down. Cost, you ask? Well, of course there's cost. After all, you're putting twice as much money at risk, right?..." "The Kewadin chain of casinos in Michigan's Upper Peninsula holds three or four major blackjack tournaments every year. For the last several years, this event has been held at Kewadin at St. Ignace, virtually within sight of the Mackinaw Bridge. However, in June 2010 they held this event at Kewadin at Sault Ste Marie instead. I played in this event, and would like to share my thoughts about this tournament with you..."
"The true essence of money management in poker really comes down to bankroll management. It is how you handle your money to ensure that you will not go broke. You can't play poker if you don't have any money to get in a game. Anything you do that causes you to lose money and is a detriment to your bankroll is commonly referred to as a "leak" in your game..."